WONDERboom head to China this weekend to perform at The Silk Road Indie Music Festival taking place in Chengdu from 1 to 3 December. This is the band’s first tour to China in their 21-year career span and follows fresh off the release of their latest studio album, Rising Sun. The Silk Road Indie Music Festival is a festival hosting bands from 14 different countries on a competitive platform. Crowd votes determine the winning band/country, which will be announced on the 3rd of December. WONDERboom will be performing on the main Saturday night line-up with key International press and media covering the event. How did this all come about for WONDERboom? The Maritime Silk Road Music Festival and The Maritime Silk Road Music Industry Platform are developing music trade ties between China and international countries in music production, artist talent development, music education, technology innovation, concert performances and music content sales. Well-known International music consultant and label owner, Adrian Skirrow, is the South African representative and is very excited at the prospect of showcasing one of South Africa’s premier music outfits. 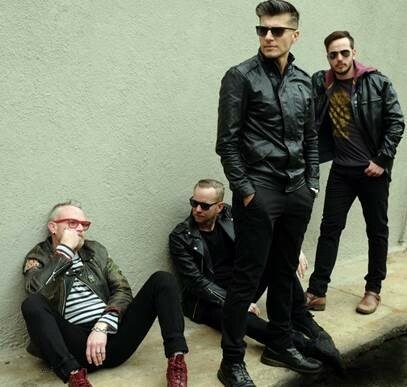 “WONDERboom’s blend of high energy live performances, musicianship and blend of African flavoured pop hits is certain to set the bar high during the Silk Road festival and attract new audiences. The festival, now in its second year and almost double the size of 2016’s successful event, is being attended by more entertainment executives and media from around the world this year. WONDERboom’s performance will be broadcast on regional TV stations and packaged for national TV broadcast at a later date, offering the band an enviable platform to reach many millions of viewers and new music fans, via China’s massive mobile media network, with their unique sound and image. 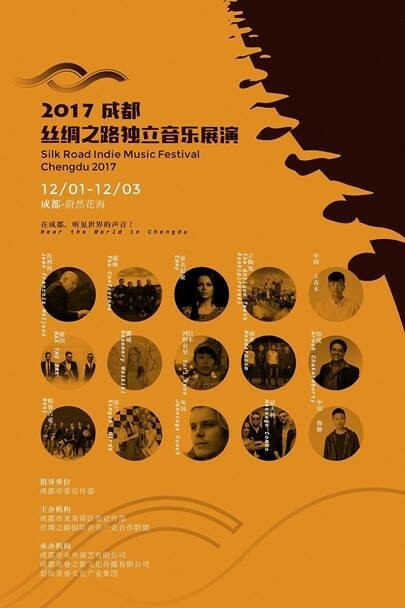 The Silk Road Festival in Chengdu will see WONDERboom compete against some acclaimed performers from 13 other nations,” comments Skirrow. In November 2016, artists from eight countries were invited to perform at the Ningbo Maritime Silk Road International Music Festival. The music festival successfully introduced and marketed international artists to Chinese audiences and promoted Chinese pop artists to world markets. For 2017, 13 international performing artists, along with Chinese pop artists will compete for most popular international act honour, across three days of music and celebrations. WONDERboom are the second SA artist to perform at the Silk Road Festival in China, following the inaugural event in 2016. WONDERboom return to SA shortly after to continue their Rising Sun album tour. 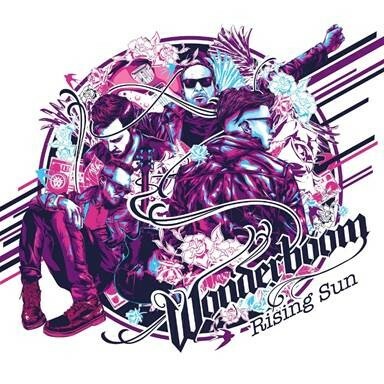 Rising Sun is a triumphant release from WONDERboom and is packed with 11 powerful songs. Album opener Humans launches the album with that distorted guitar-riff driven, kick drum stomping, dirty Rock & Roll sounding, fist-pumping anthem WONDERboom delivers so well. Southern Light is the current single from Rising Sun receiving love across SA radio, and with previous singles Great Escape and Ooh La La already fan favourites, these three singles are just a taste of what Rising Sun holds. The rest of the album is just pure magic listening to singles such as Hell, Praying Mantis, In Place Of Something, and Shark Bite. If you think you know WONDERboom and you have your favourite song from watching one of SA’s most iconic Rock bands grow from strength to strength over the past 21 years, but you haven’t heard Rising Sun, you’re in for an amazing surprise. Your favourite song is on this album.